Flying Woofer Records is back with new tasty treats from outer space! This time the Woofa is buzzing with psybient frequencies that instantly beam up anyone who comes under its area of exposure. 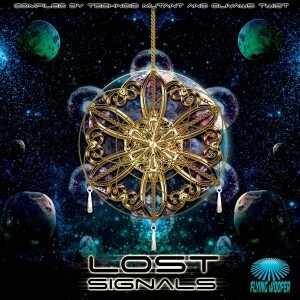 Collected by Technoid Mutant and Olivaw’s Twist, this ambient music compilation of Lost Signals contains thirteen masterpieces that will instantly zone you out into lost galaxies. MP3 Download | FLAC Download | WAV Download · Download count: 9,629. Awesome work! Big ups to Aghori Tantrik for proving his skills in such varied music styles! Just had one of my greatest naps listening to this one ! This album was born as chronicle, and may be the continuing series of quality ambient. Thanks Alexander and producers. Amazing psychedelic ambient.. very fresh and chilled out vibes! Need more of this. Can’t wait for Flying Woofer’s next release!